Many thousands of years ago, people used to hunt for a series of reasons. Most importantly, they used to hunt for food, especially meat. At first, it was a self-defense habit, only for ancient ancestors to realize that animals make a good source of food too – many years before the actual evolution into Homo sapiens. The history of hunting begins far before most things we know about our ancestors. Overtime, hunting became more and more sophisticated. Ancient hunters learned to sharpen their skills as they evolved from one age to another. They became better at stalking the prey, as well as tracking and trapping it. More time passed and various hunting weapons were introduced, not to mention all kinds of tactics to make hunting easier. If you think about it, the initial methods in the history of hunting involved nothing but sticks and rocks. 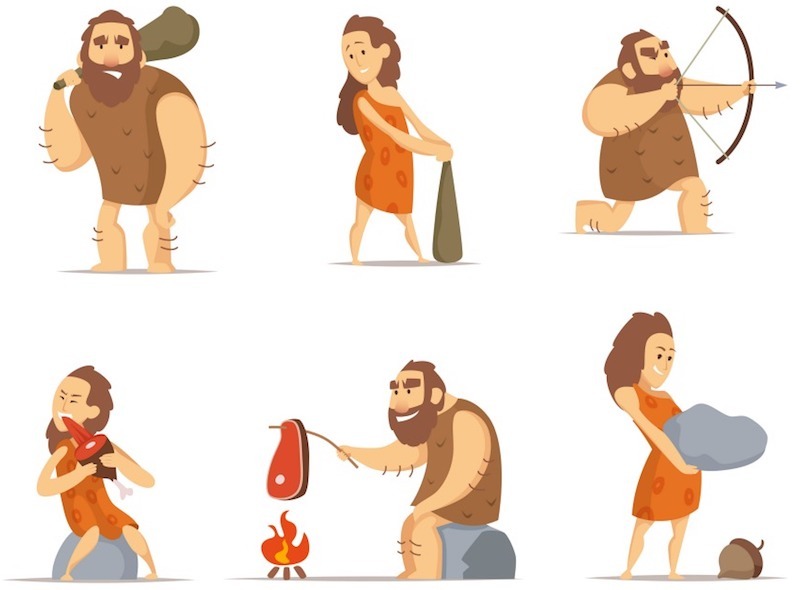 The evolution to Stone Age brought in stone tools. People figured out how to sharpen spears made of all kinds of materials. Chipping stones was also common for sharper objects. Hunting became more than just a feeding habit, but also an exercise for young boys aspiring to become men. However, it took a while until the first actual weapon was invented. It was a pure inspiration for the slightly evolved man. The throwing stick, also known as an atlatl, was used to deliver sharp objects over long distances. The force was quite impressive, while the accuracy left some room for improvement. The weapon worked based on leverage. Later on, the bow and arrow were invented – around 15,000 years ago. It was the time when man also discovered that certain animals can be friends and quite valuable in the hunting game. It took time for the wolf to be domesticated and become one's best friend, but it was one of the main achievements in the history of hunting. The modern dog is loyal and clever, but it also has a good sense of smell. Its help during hunting sessions became priceless. 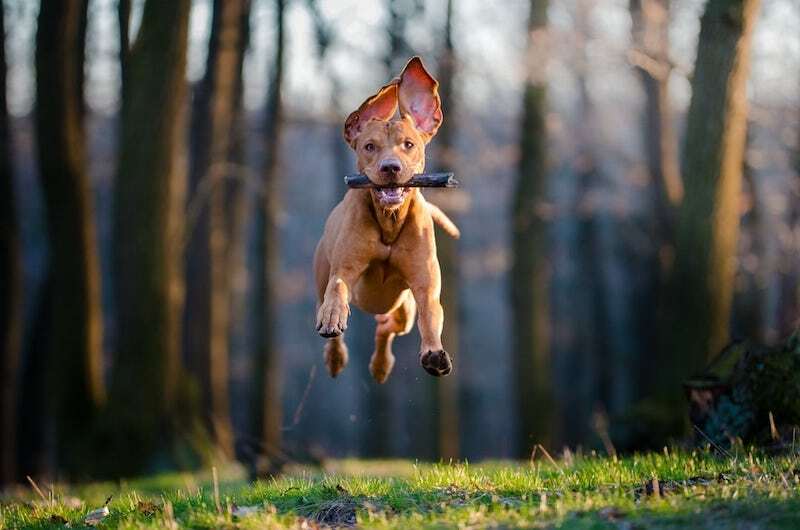 It took thousands of years for various breeds to show up – some of them specialized in hunting. Evolution was definitely slower compared to today's times. It took so many years to develop a bow and an arrow back then. And then, all these innovative solutions became completely useless with the development of an exquisite technological arm. It consisted of a perfectly round metallic tube, as well as a substance that could propel anything upon being lit. They used to call it a hand canon, yet most people know it as the modern firearm. It came to Europe in the 14th century and made its way through all over the world. It was more accurate than the bow and arrow, but also more sophisticated and powerful. Evolution went much faster after this innovative invention and the history of hunting saw an ascending path. The first few centuries did not see too many upgrades, but later on, the hand cannon evolved into a harquebus, a blunderbuss and a musket. Rifling came to life in the 16th century and had the primary role to improve the accuracy of the bullet. Its power was significantly increased as well. At this point, people could hunt from long distance, without even being spotted by the prey or having to go near it. It was the time when hunting became more than just a solution for food, but also a sport and a way to win wars and battles. The 17th century went quite fast and brought in the flintlock ignition, which added to the power. It was later upgraded to a breechloader. Just decades later, the first shotguns showed up, as well as the elongated bullet. The new model ensures a better trajectory and a top notch accuracy. Things moved on so fast that by the 1800s, people had access to the percussion solution, as well as bolt action rifles, metallic cartridges and even lever action loading. The classic hand cannon used to propel pellets and stones. Just 400 years later, people had access to sophisticated firearms whose principles are still used today. Initially, these basic firearms were most commonly used as weapons. By that time, the modern man knew how to farm and raise animals for food, so hunting was an option for those who simply wanted something different. However, they slowly made their way into the hunting world. With so many options out there, only a few of them became standard for the modern hunter – the rifle and the shotgun. They were used by both professional hunters and hunting sports people. At some point, hunting lost its popularity again. Agriculture was part of every land's main sources of food. Depending on the location, people learned to cultivate all kinds of nutritive plants. Many animals were also domesticated, so it made sense to use them for other products than meet – eggs, milk, cheese, wool, feathers and so on. Hunting has not changed too much since those times. Firearms evolved a little, so there are numerous choices for each type. It is, however, a more organized activity these days. There are certain times of the year when hunting is allowed. There are closed seasons as well, not to mention laws and regulations regarding what weapons can be used. 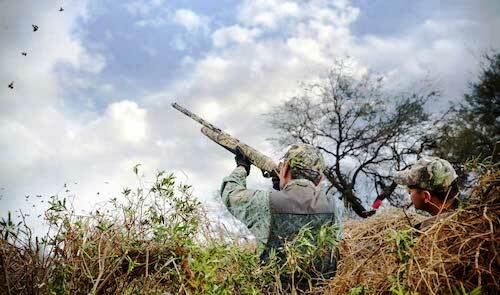 Safety measures were implemented both for the animals and the hunters. Hunters are supposed to stay away from the sport at specific times of the year when animals are more vulnerable or in danger. Sustainable rules allow plenty of prey for the next season, without sacrificing the environment. These days, in the 21st century, you might find it hard that people still hunt to food in certain parts of the world. In the civilized world, it is more of a sport. There are particular aspects about it that make it so popular. Gears like boots and proper clothings were purposely crafted to boost the winning outcome. You do not go there for the food, but for the satisfaction of cooking your own food outdoors. You go there for the actual challenge of testing your crossbow accuracy, the good time spent with friends, small successes and even smaller disappointments. Hunting for sustenance was no longer an option. Instead, the history of hunting observed a new level – it became a sport.